What Are the Best Tips for Educational Evaluation and Assessment? 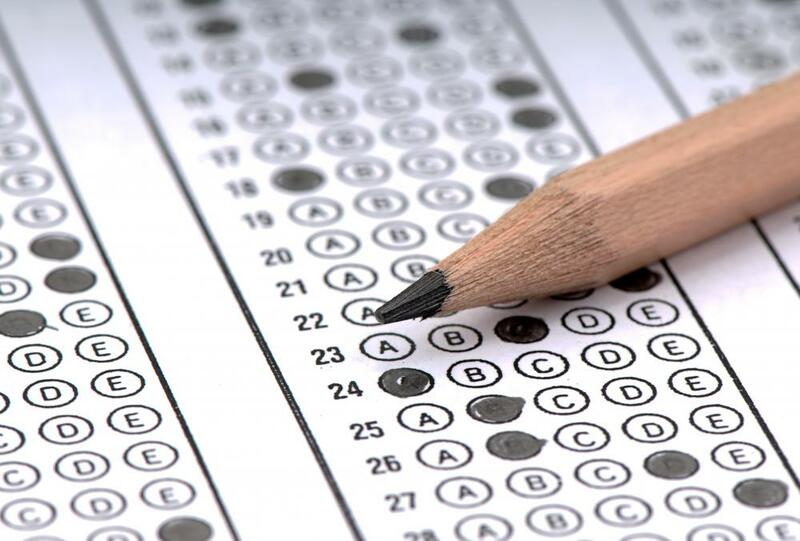 In educational evaluation and assessment, multiple choice questions can be effective. One of the most important elements of educational evaluation and assessment is the assurance that a test accurately reflects the information that it is meant to gauge. Tests that have been created also need to be fair and provide questions and information in a way that is clear and concise. The type of educational evaluation and assessment used is also important, such as the inclusion of short answer or essay questions to ensure full and meaningful understanding of the material tested. Other types of questions, like multiple choice or true/false, can still be useful, but they should be presented in a way that is as effective as possible. Educational evaluation and assessment is intended as a way for a teacher to ensure that students are learning information in a lesson or unit. This means that the tests and other methods of assessment used need to accurately gauge how well students are learning. The language used during evaluation and assessment must be clear and phrases or examples that were discussed in class should appear on the test. It is not the purpose of a test to trick or fool a student into making a mistake, but to allow students to demonstrate that they have a thorough understanding of what they have been taught. Using the right kinds of questions for evaluation and assessment can better ensure that this is the case. Short answer questions are those that are presented to a student, who must then answer the question with a few sentences. These questions allow students to present information in their own words, and gives them a chance to explain what they know in a more meaningful way. Longer answers, such as those provided for essay questions, can also be effective for educational evaluation and assessment. These types of questions require more time for a teacher to grade them, however, so they should be used sparingly and only for the most important subjects. 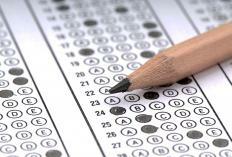 Other kinds of questions used in evaluation and assessment, such as multiple choice, can still be used effectively. These questions give students one or more correct answers, along with incorrect choices, that they must then identify. There is a chance that students can simply guess the correct answer, so tests that rely too heavily on these questions may not accurately represent student knowledge. It is often best for such questions to have more than one right answer that needs to be identified, which reduces the opportunity for simple guesswork. These questions are fast and easy to grade, however, so they can allow more information to be covered in a single test. What Does an Assessment Coordinator Do? What Are the Best Tips for Student Evaluation? How Do I Choose the Best Evaluation Test? What Are the Different Types of Assessment Strategies?